This has been so long me and my team is recycling the wooden pallet furniture items for all the segments of the house. 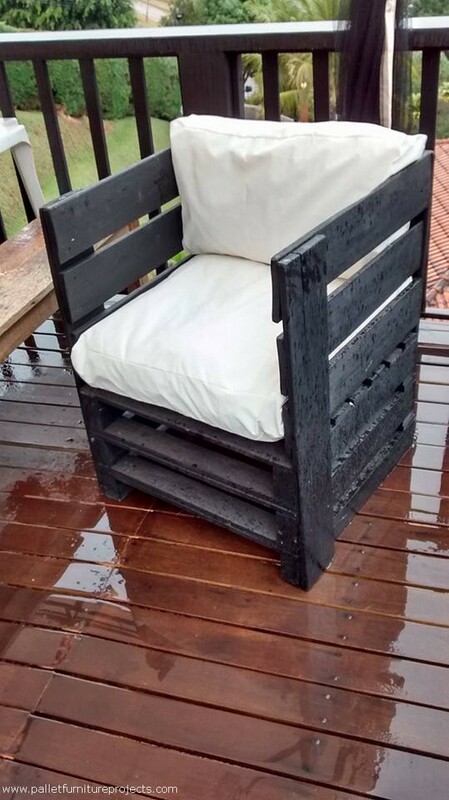 We have also made some wooden furniture items especially for the commercial use, meanwhile in the spree of this pallet wood upcycling we also came across different wooden items that were having immense potential for being used in the different wooden furniture items. And a wooden cable reel is also one of those strange materials that have supplemented us in various wooden creations. 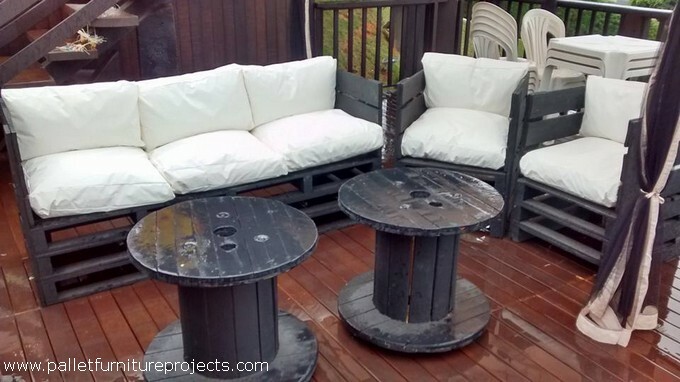 In this pallet wood patio lounge furniture we are going to use again the same wooden cable reel along with the pallet wood. Getting started with this spacious and ultra luxury pallet wooden couch would be a sigh of relief for those who are sick of making huge expenses on the furniture articles and they still don’t seem satisfied to the extent as was expected. Look at this mini couch which actually isn’t mini but pretty huge and spacious. 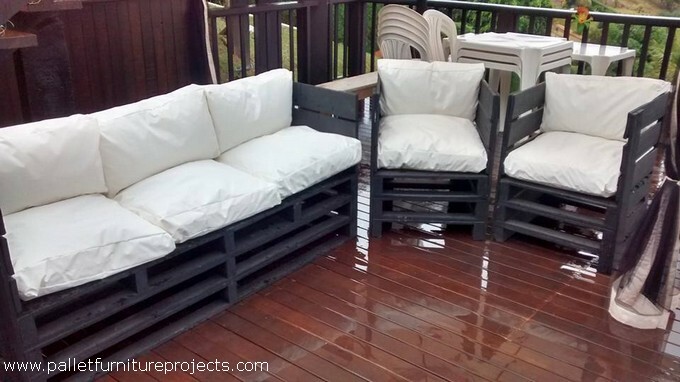 Having a look on the texture of the wood reveals the roughness of the pallet wood that we didn’t sand properly but undoubtedly we have chosen some best color scheme on the entire wooden pallet furniture range for patio. 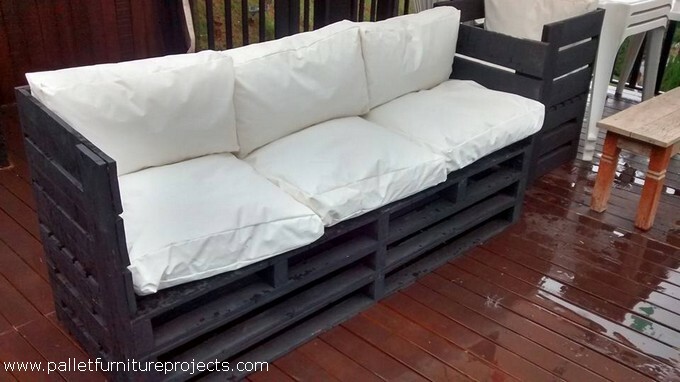 This is a proper wood pallet couch set that is having the most common seating arrangement like a big one with seating capacity of three persons, then a smaller one and at the end a single seated pallet wood couch. You must be thinking that the wooden tables are missing but we cannot simply commit such a blunder, we have already presented the wooden cable reel repurposed centre tables that have got their own charm. So after they are added in the range this simply becomes perfect and complete. In this way your patio is given a special treatment.